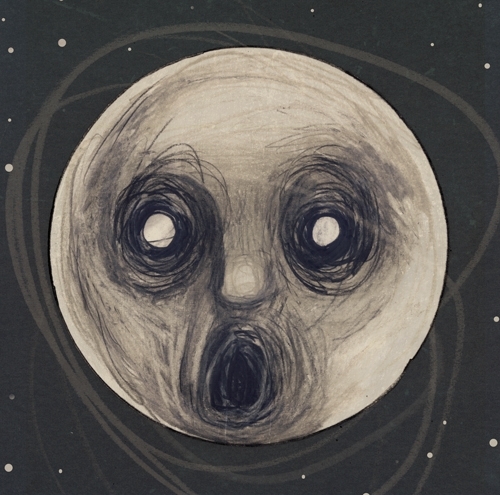 Steven Wilson has completely outdone himself in this masterpiece of an album, his latest in his recent string of solo albums, collaboration on Storm Corrosion and sound production for progressive legends King Crimson, whose magic seem to have rubbed on to the soundscape of The Raven That Refused To Sing. For one thing, the instrumentation is phenomenal, with a legendary team behind the prog frenzy; Marco Minnemann of Necrophagist fame behind the drum kit, Guthrie Govan on guitar, Nick Beggs on bass and Chapman Stick, Adam Holzman on keys and Theo Travis on the wind instruments, with Steven Wilson filling in the tributaries that seamlessly connect these musically talented individuals together. Add to that Alan Parsons (who produced Pink Floyd's Dark Side Of The Moon) and you have a milestone in progressive rock history. What is inventive on this album is the compromise between melody and technical creativity; the product is as much brain as it is brawn, and Wilson's songwriting, honed after years of songcraft in Porcupine Tree, Opeth and Storm Corrosion (and this is just in the recent years after his dream pop years), has drastically improved from the partial disaster that was Storm Corrosion. But moving on, for once, Wilson's melodies linger in the recesses of the mind long after the songs have ended, a testament to musicality rather than shock factor. Wilson also stated that the songs were written with this band in mind; and the amazing thing on this album is the fact that the band member's singular identities do not stand out in any way of your consumption of the songs, and yet there is no denial of the song's genius and the instrumentation. It is this tricky balance that propelled bands like Pink Floyd and King Crimson to fame. Also, Govan's guitar solos are downright beautiful and act as fantastic climaxes to 'Luminol' and 'Drive Home'. 'The Holy Drinker' blends solos from each one of the members but they do not clash in the form of a duel akin to modern day Dream Theater material. Also, there isn't any hard rock moment on the album, it as sleepy as it is lively, another tricky balance that can be attributed to the masterful sound production, which was reportedly not remixed at all (meaning that what you hear is live from the studio). The sound is sharp, warm yet spacey, and what else would you expect from the sound engineer of Pink Floyd and a prog nerd who has been restoring 70s obscure rock albums? Even if you're not a fan of prog, just listen to the fantastic sound, this is the best sound quality I have ever heard on audio. By the time you hit the album closer and title track, it's apparent that Steven Wilson and gang have created something absolutely fresh by looking back to the hey day of progressive rock in the 70s as inspiration to create something absolutely palatable. This was an instant hit from its first spin and has only improved with repeated listens. Beginning the year with a classic, here's to hoping for less trash at Buona Vista.